Nintendo president and CEO Satoru Iwata told investors that he may have relied on internal marketing too much for the Wii. I don't think anyone would say that the Nintendo Wii's launch in 2006 was a failure. The diminutive console sold way more units than anyone expected given its beefier competition in the PS3 and the Xbox 360. Pundits scratched their heads at the name - I still think calling it by its codename the Revolution would have been a better choice - but one could argue that the Wii's strangeness is what connected the console to a new casual audience. Despite the great sales that Nintendo enjoyed, sales are waning now and Nintendo isn't sure why. Satoru Iwata admits that his company's reliance on internal marketing teams might be the problem. Iwata is considering hiring more outside help when it launches the "Project Cafe," the rumored Wii successor. "I now regret that we didn't tie up with someone outside the company to market the Wii. If we had done that, the fate of the Wii might have been different," Iwata said at a closed meeting for investors and analysts. "Now I am aware that we should not rely too much on ourselves. You will see what I mean by this when we market the 3DS and the Wii in the future," he continued. 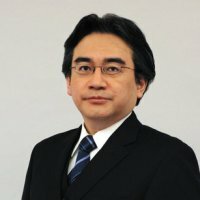 Iwata may be admitting that the image for the Wii as a "casual" console might have hurt its reputation amongst core gamers and developers. Hiring an outside marketing firm for the different world markets will allow the company to shed that image for the next console and perhaps speak more to the Western twentysomethings that buy the majority of videogames abroad. Does this mean we'll see more funny or ironic ads from Nintendo in the same vein as the Kevin Butler PS3 spots? What would that even be like? Get ready to meet Nintendo's new pitchman - Mr. Funtime Jones! His catchphrase? "Get ready to play with yourself!"